Leeds City Council is asking for views on the workspace that is currently available for the local cultural, digital and film sector. Channel 4 News presenter Jon Snow at an event in Leeds earlier this year. Council bosses say the consultation will help them gain a "greater understanding" of the needs of Leeds's creative companies ahead of Channel 4's relocation. The information gathered will be used to draw up an action plan focusing on the provision of suitable – and affordable – workspace for the sector. It will also feed into the launch of a small grants programme that is set to receive £1m funding from the council. 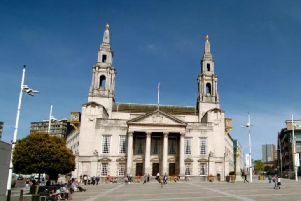 Channel 4 picked Leeds as the home of its new national headquarters last year, with the broadcaster expected to move into the city centre's Majestic building in the second half of 2020. Some staff could relocate to leased offices in Grace Street's West Gate development as early as this September. Experts believe Channel 4's presence will kickstart a boom period for Leeds's creative sector, which is already regarded as one of the most vibrant in the North. 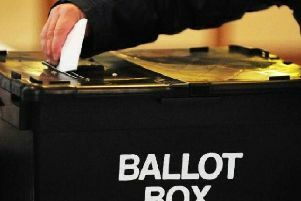 To take part in the consultation, visit the www.leedsgrowthstrategy.co.uk/workspace-call-for-evidence web page. The deadline for submissions is next Wednesday, April 24.